Check out this new 360-degree interactive online tour of Pappy McGregor’s Irish Pub on Monterey St. in San Luis Obispo. Access Publishing is offering Google’s latest in online marketing: a interior walk-through of local places. It’s linked to Google search, maps, and business websites. The virtual tour will show off the interior views of a place that people love to see. It is a great fit for local shops, restaurants, wine tasting rooms, fitness centers, hair and beauty salons, and any company looking for a Google advantage. 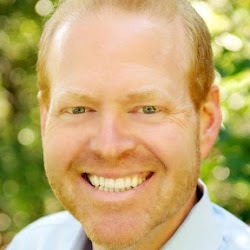 “The virtual tour allows visitors to explore and interact with your business like never before,” said Scott Brennan, owner of Access Publishing. “It’s a perfect solution for businesses looking to attract new customers,” said Brennan. “When customers look online for your business, Google Maps will show you on the map with a photo that says ‘see inside.’ In addition to being visible on Google search, the online tours can be embedded directly into other websites, social media sites, and more. With Google Street View technology and custom equipment, Access Publishing can create a 360-degree, interior walkthrough of a local business that is linked to Google searches, Google+ Local and Google Maps. “We are excited to be offering Google Business Photos. It’s one more service on our list of Internet marketing services including local SEO, web design, online mapping and more,” said Brennan. 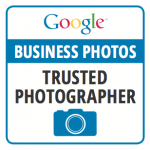 Access Publishing has a certified Google Trusted Photographer on staff. It’s a requirement for offering this new service. It takes Access Publishing’s Google Trusted Photographer, Jack Erhart, about an hour to shoot 360-degree pictures around the inside of a business. Erhart then works for several hours assembling the shots in a quality control system. Schedule your Google Business Photos in San Luis Obispo County — Call (805) 226-9890.